What Is Citrix XenApp, now Known as Citrix Virtual Apps? Citrix XenApp is the old name of what is now known as Citrix Virtual Apps. (It also used to be known as Presentation Server, MetaFrame, and WinFrame.) It’s essentially a solution that allows users to access applications from laptops, PCs, phones, tablets, and other endpoint devices without having to install anything on the device itself (apart from the Citrix client). Because a lot of users are still more familiar with the name XenApp than Virtual Apps, we’ll be using these two terms interchangeably throughout the article. With Citrix XenApp, all processing is done on the server side. Information going from the client to the server consists of mouse clicks, mouse movements, and keystrokes; information going from the server to the client consists of screen refreshes. In other words, it leverages application virtualization technology—what users interact with on their endpoint devices are actually virtual applications. XenApp also makes it possible to publish server desktops and provide users with a complete Windows user interface, with full access and operability. This is known as Hosted Shared Desktop or remote desktop publishing. Through this virtualization solution, IT managers can easily administer, maintain, and troubleshoot the operating system (a.k.a. desktops) and applications from a central location, as well as quickly deploy applications to thousands of users without interfacing physically with each client device. 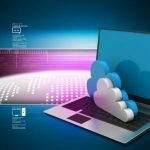 These advantages of virtual applications and remote desktops are sought by many businesses who wish to equip their off-site workforce or telecommuting employees with the ability to accomplish tasks as if they were in the office. These prices are dated April 2019 and were taken from the Citrix Store. The main differences between these three levels are their security, virtual workspace, and administrative capabilities. Naturally, the higher the level, the greater its capabilities. Despite its already hefty price tag, Citrix Virtual Apps (formerly Citrix XenApp) does not yet provide any support for virtual desktop infrastructure (VDI). That functionality is reserved for yet another product known as Citrix Virtual Apps and Desktops (formerly Citrix XenDesktop). This usually surprises customers because, logically speaking, virtual applications and desktops should go hand in hand. While the Advanced Edition of Citrix Virtual Apps and Desktops does include both virtual applications and desktops, the price also jumps to $535. That’s $160 more than Virtual Apps Standard. Again, that’s just for one concurrent user. Unfortunately, the confusion doesn’t end there. The fact that a Citrix-certified IT professional is normally needed to install and configure Citrix Virtual Apps is already indicative of its complexity. Usually, licensees have to enlist the help of third parties to get the software up and running. Here’s a good example. We all know that load balancing multiple servers is one of the most common business requirements these days, right? Unfortunately, setting that up using Citrix XenApp is far from easy. As a matter of fact, you would have to purchase a NetScaler appliance for that (yes, that’s a separate product). Oh, and by the way, Citrix doesn’t call that product NetScaler anymore. But that’s another complicated story. Virtualization is certainly not an easy subject. Still, there’s absolutely no need to suffer so much just to get a virtual application and desktop delivery system up and running. A better approach is to employ Parallels® Remote Application Server (Parallels RAS). Parallels RAS is the ideal solution for managing virtual applications, remote desktops, and a VDI infrastructure. Aside from having the essential functions of virtual application and desktop delivery, its connection broker is capable of delivering your virtualized assets from any major hypervisor to any device. That means, for example, you can publish a virtual desktop from a VMware hypervisor and an application from a Windows Server simultaneously. In addition to this unique flexibility, this software is also easy to manage and use. Parallels RAS can be installed in a very short time—minutes rather than the hours needed to install Citrix Virtual Apps. We talked about load balancing earlier. With Parallels RAS, load balancing doesn’t require any additional purchase. You can incorporate high availability load balancers (HALB) to your infrastructure at no extra cost. Unlike Citrix Virtual Apps, Parallels RAS has just one licensing package, allowing all customers to use the full power of the software right from the get-go. Your initial investment won’t go to waste. If you want to upgrade your infrastructure, you can simply add extra licenses at any time, without changing the initial configuration or license package. That includes everything you need to perform virtual application and desktop delivery. There’s no need to understand the intricacies of different editions, licensing models, and additional components. More importantly, there’s no need to hire certified experts to set things up. Just think of the numbers. If you need licenses for 15 concurrent users, with Citrix Virtual Apps (formerly Citrix XenApp) Standard you have pay at least $5,600. But that’s just for the Virtual Apps licenses. You still need to factor in third–party fees (for installation and configuration) as well as additional costs for the different add-ons. If you go for a Premium package, your bill increases to $9,600. Again, that’s only for licenses. With Parallels RAS, for the same number of users, you’ll pay less than $1,500 for one year or just a little over $4,000 for three years. That’s already inclusive of everything you need. Citrix Virtual Apps (formerly Citrix XenApp) delivers remote desktop services and application virtualization to most available devices. However, most organizations will find the solution incomplete because it does not support VDI. The licensing is complex, divided into three licensing levels: Standard, Advanced, and Premium. For 15 users, the licenses alone could cost almost $10,000. The configuration and installation processes are complex and require certified and expensive third parties. By comparison, Parallels RAS works with remote desktop services, application virtualization, and VDI. The licensing package is straightforward and includes all the services available. For 15 users, the licensing cost is only around $1,500. The configuration and installation processes are easy and fast—the software can be up and running in less than five minutes. Reddit: Citrix – How difficult is it to learn? Basvankaam: Citrix licensing (and Microsoft) demystified? I need your help! How Can Businesses Benefit from the AWS Cloud?